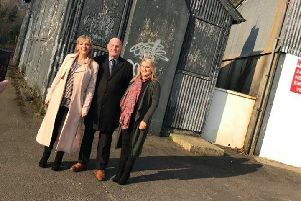 Sinn Féin Councillor Patricia Logue has welcomed the introduction of child crossing safety road signs in the vicinity of the new play park in the Brandywell. Councillor Logue said: “Back in January I publicly called on the Council and Transport NI to erect signage on the roadways around the park advising of ‘children playing’. She said she was delighted her call had been heeded. “I am very pleased that ahead of the play park opening that these signs have now been installed.